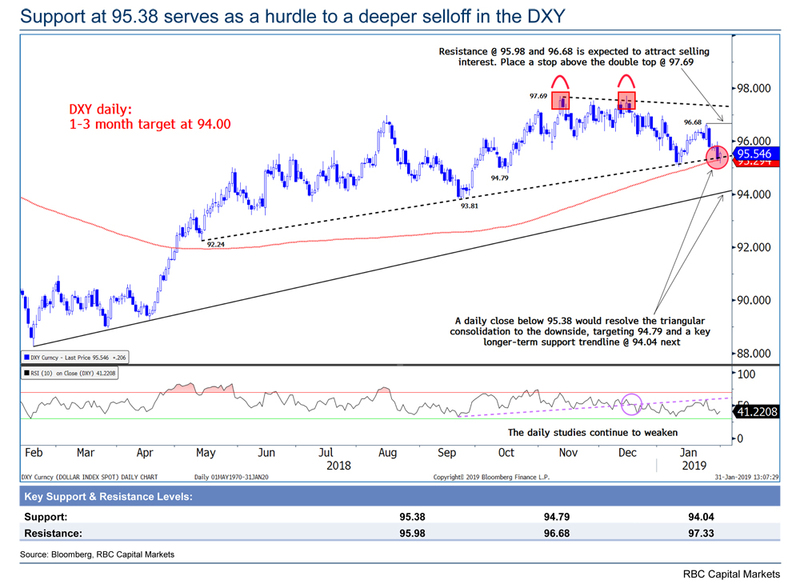 Looking at a Chart of the US Dollar Index (DXY), Davis notes it is hovering close to support from its eight-month uptrend. 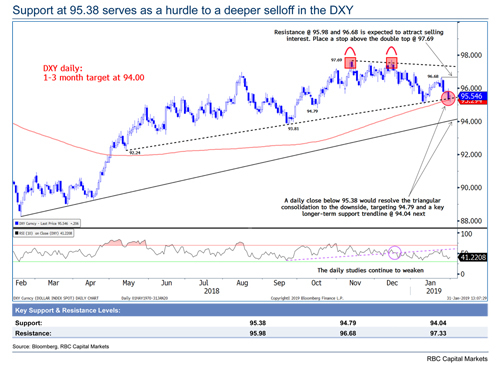 A close below 95.38 would resolve a triangle pattern to the downside and trigger a deeper selloff, targeting 94.79 and then long-term trendline support at 94.04, this latter level being his one to three-month target. 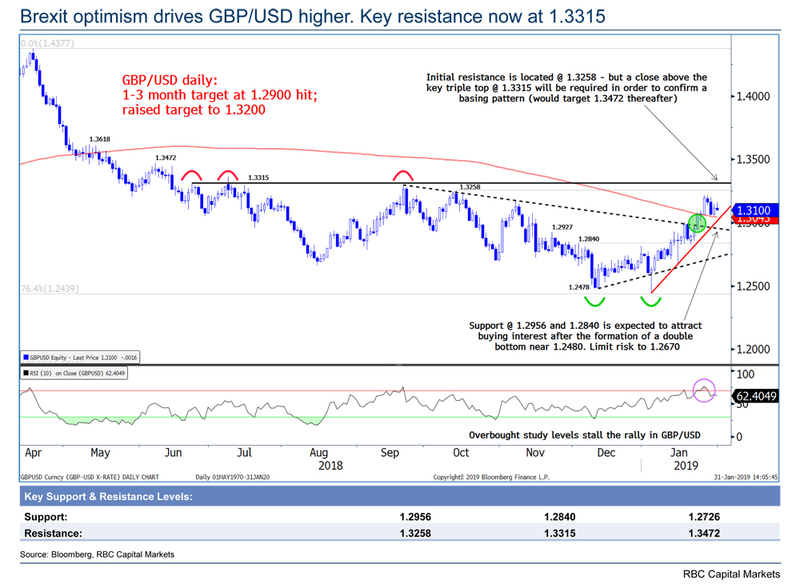 In terms of GBPUSD, Davis says Brexit optimism is driving it higher. However, a close above a triple top at 1.3315 is needed to confirm a basing pattern (see Chart 2). 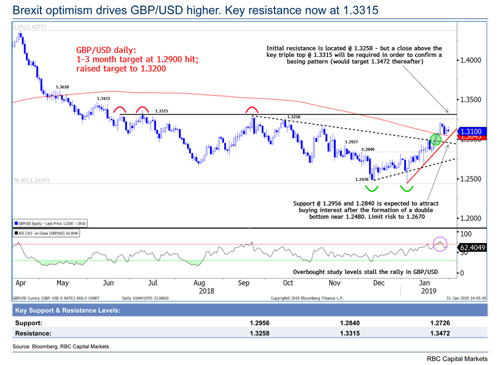 His one to three month target of 1.32, however, suggests he is uncertain whether the 1.3315 hurdle will be cleared anytime soon. Support is provided by a double bottom near 1.2480. 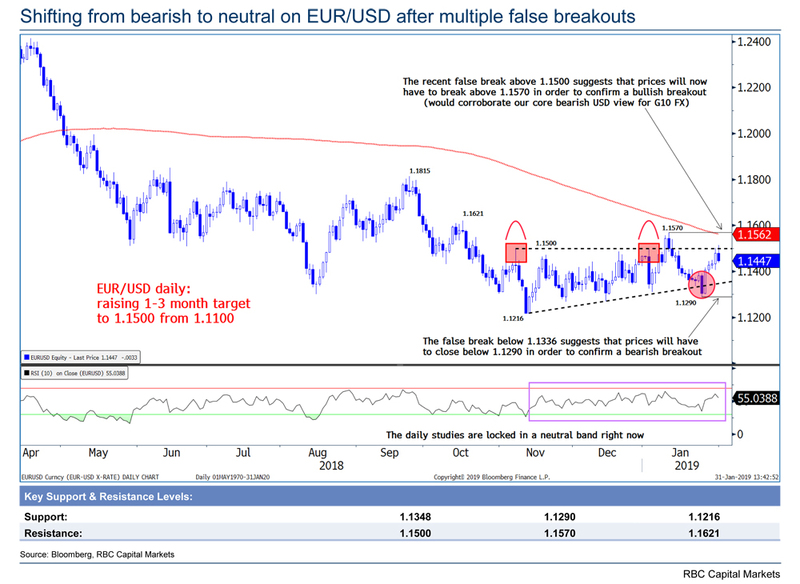 After several false breakouts, Davis is more neutral in his outlook for EURUSD (see Chart 3). He says a break above 1.1570 is now needed to confirm a bullish breakout. Conversely, a close below 1.1290 would confirm a bearish breakout. See Chart 1 / Chart 2 / Chart 3.